Best Mattress Protector For Memory Foam: What Option Is Best For You? Memory foam mattresses are an awesome invention that have helped many people get a better night’s sleep. However, memory foam mattresses tend to be more expensive than traditional box spring mattresses, meaning it is crucial to protect your investment and get the most use from your memory foam mattress. This is why it is importantl to invest in a high quality, durable mattress protector. Fortunately, we have done the research. Continue reading to discover the best mattress protector for memory foam on the market today. Water and Bug Resistant: To protect your mattress from spills, sweat stains, dust mites, bedbugs, and bed-wetting. Breathable: An effective barrier to allergens prevents the accumulation of harmful bacteria that feed on dead skin cells deposited on your mattress. Easy To Wash: Can be removed easily, machine washable and dries fast. You will be able to have more nights on clean and fresh beddings. Additional Comfort: A thin and soft mattress protector made using organic materials does not make any noise or move when you turn in bed. Durable: A good memory foam protector should last for up to a year or possibly longer before it needs to be replaced. However, this is subject to proper maintenance. 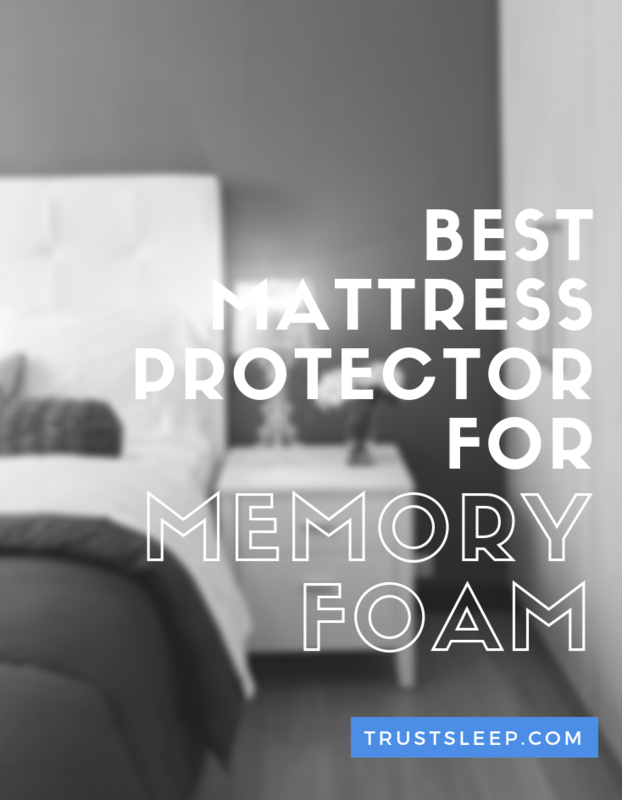 In this section, we take a detailed look at four of the best mattress protectors for memory foam mattresses. We have also included a few tips on how to take care of the mattress protectors to make them last longer. 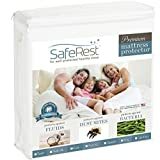 SafeRest Premium Memory Foam is a light memory foam protector made from cotton. It allows you to feel the smooth features of your memory foam mattress even while covered. 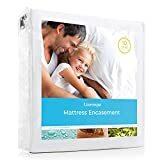 This hypoallergenic, waterproof mattress protector is ideal for someone who is prone to allergic reactions and incontinence such as asthmatic children. Its cool, breathable, and noiseless design confines any dirt from pets, insects, bacteria, and shaded skin cells onto its hypoallergenic cotton terry surface. This facilitates effective cleaning hence easy control of allergens. One of the best aspects of SafeRest is that there are several sizes to choose from -twin size, queen size, king size, and full. 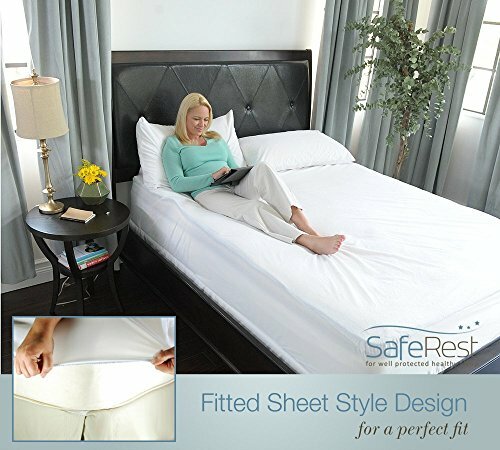 We highly recommend utilizing SafeRest for your memory foam mattress. Its depth size accommodates more mattress sizes. 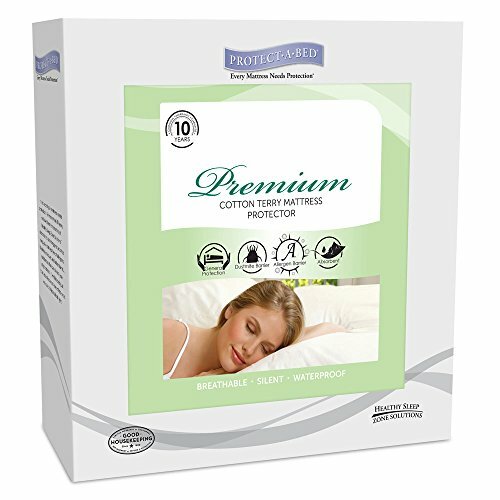 Protect-A-Bed Memory Foam Protector is made using a light breathable barrier cotton fabric. It has an additional polyurethane, polyester, or polypropylene layer that is waterproof. It comes in seven different sizes ranging from queen to Twin XXL sizes. The full size measuring 75” by 54” by 14” has two smaller sizes before it and five more dimensions above this one. It also has an FDA Class 1 rating. The outer layer of the Protect-A-Bed protects the mattress from contamination originating from bed-wetting, perspiration, harmful mites and bedbugs, allergen causing bacteria, and dirt. Its breathability prevents any growth of harmful bacteria that thrive on human skin cells. The fabric is easy to remove from the mattress, wash, and dry. It doesn’t make noise when you toss and turn in the bed. Additionally, it fits well in all the four corners of your mattress. 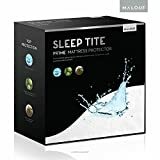 Sleep Tite Mattress Protector, made of 100% waterproof, vinyl free fabric keeps the mattress clean and dry. It has eleven different sizes to choose from including a baby cot size. The elastic can stretch between 6 inches to 22 inches deep. Though thin, the fabric is cool and it doesn’t make noise when you sleep. 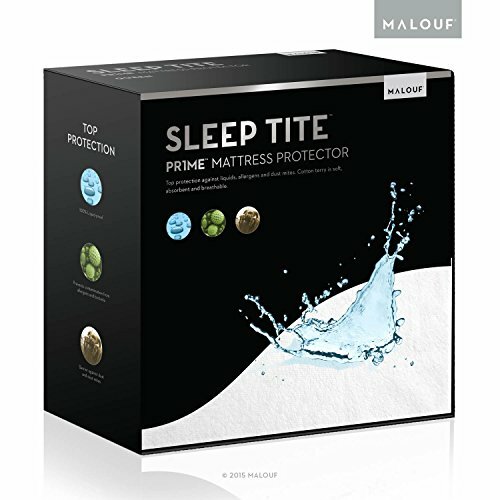 The Sleep Tite mattress protector comes with a fifteen-year warranty. It is ideal for persons prone to allergic reactions and incontinence triggered by bacterial accumulation, dust mites, stuffiness, or odor. Finally, its breathable fabric conveniently repels any wetness. The LinenSpa Premium Foam Protector is made using a waterproof polyester encasement that keeps dust mites, bedbugs, and liquid allergens beyond the reach of your memory foam mattress. This makes it easy to wipe it clean, especially if you have anyone who in the family who is prone to accidents. It is easy to remove and clean, plus the zippered ends make it fit firmly on the mattress, making it free of any annoying crinkling noises. Wash your new mattress cover before your initial use. This removes any packing odors and softens the fabric. Use cold or warm water. Avoid ironing or dry cleaning. Heat tends to blister the specially designed fabric membrane. However, water at 60°C is effective in killing trapped bacteria and dust mites. Always use a bleach-free detergent when washing your mattress protector. Bleach tends to erode the protective layer of the mattress protector. Follow the sew-in instructions that come in your product packaging. Dry your mattress protector up on a line to get maximum exposure to sunlight. This will further kill any remaining germs. A memory foam mattress (also called a visco-elastic foam mattress) is a particular type of mattress made using support foam that senses your body warmth when you lie on it. In return, it softens to mimic your body shape. It is a ‘memory’ foam because, with time, it maintains the shape of your body even without you lying on it. This unique feature of memory foam mattresses makes them very comfortable irrespective of your sleeping position. The foam mattresses limit your tossing and turning movements since you sleep in your personalized sleep zone. Additionally, when you sleep on memory foam mattresses, your body weight is distributed evenly, which relieves your pressure points from undue strain. Most foam mattresses tend to be very expensive. Therefore, to enjoy these benefits, you need the best mattress protector for memory foam. This is why we created this guide! 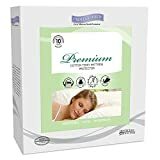 The best mattress protector for memory foam mattress will enhance your mattress longevity and keep it free from unpleasant odors and ruined appeal. Try the above choices today share your experiences below, we also love hearing from our readers. We hope this guide has helped you make an informed decision, and we hope you enjoy your new memory foam mattress protector.